file size, bar codes, bookmarks. Split your PDF documents by pages via easy-to-follow user interface or command line. You can select page range too (i.e. 1,2,7-10). If you use a blank page as a separator while scanning doc, our app will split them into individual files for you. 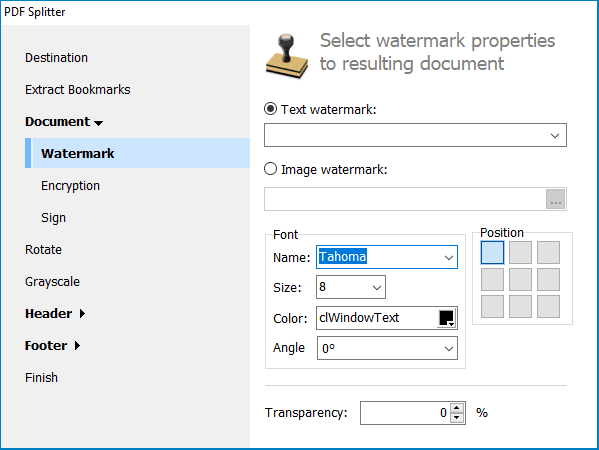 Divide your PDF into chapters, any level of bookmark is supported. If you want to split a large PDF into smaller chunks, use this option. Set the size in Mb. Give new files descriptive names. 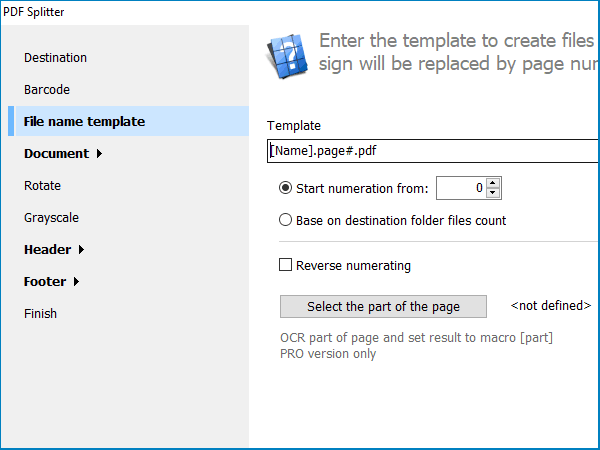 By default new pages will be renamed [Name].page#.pdf (# is the page number). Start enumeration from any digit. Add page counters, documetn's name or legal notes to the output pages. invoice number or a key word. All Options of PDF Splitter Plus..
How to split a PDF file with thousands of pages? 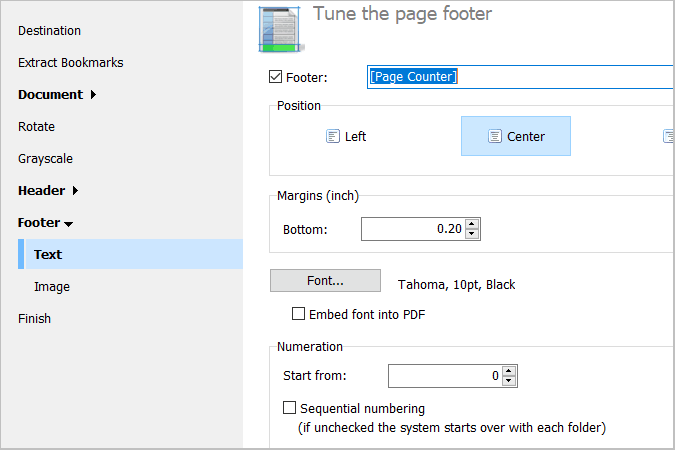 PDF Splitter Pro can do that fast and error-free. It works fine when you have various documents inside one PDF that start or end with one particular phrase. It may be invoice or your company's name or Purchase Order. Set the key word and PDF Splitter Pro will divide the file once it encounters it in your PDF. If you have different invoices (i.e. 1-page and 3-page) in one document, you would have to split them manually. 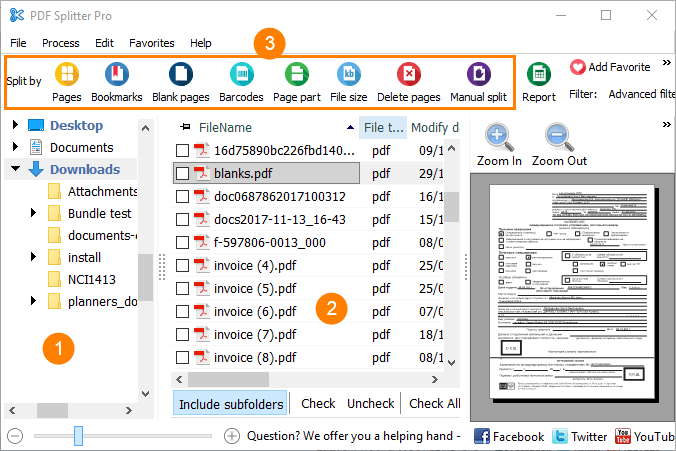 With PDF Splitter Pro you can automate the task! Moreover, the app can add the number to the resulting file name! You will get Invoice781.pdf, Invoice782.pdf, Invoice783.pdf, etc. If your document has no template, you can split it manually. View all the pages and set the breaks. The app will split the file according to them. "We need to split a PDF file wich contains a big number of invoices (200-300), into different files by invoice number. Theses invoices each can have a different number of pages. Your tool identifies the invoice number correctly (and put it in the file name) and we are quite happy with it." "Our company utilizes PDF Splitter Pro in our everyday PDF processing routines. It is the split on barcode which was the main requirement. This app does it perfectly." It's not another PDF splitting tool. your documents in all possible ways. "I'm loving PDF Splitter Pro! Your team has responded quickly to the bug reports I've sent in and fixed the major one with Page part. It's a great app for companies that generate a large PDF file of invoices who then need them split, combined, and named by invoice number as the company I work for does. There is a company with a program that does this but they lack command line support and the reason I purchased your software bundle and PDF Splitter Pro. I absolutely love how every option in the GUI can be triggered by the command line. Thank you and your team for the great software and support!" Operating System: Microsoft Windows®10, 8, 7, Vista, 2003, 2000. PDF Splitter is very easy-to-use. To split PDF into separate pages, launch the app and select your folder from the folder tree on the left. Check the PDF files or whole folders that you would like to process. Select the splitting option from the top bar. The wizard of the program will help you with the rest of settings. Here you select the destination folder, the file name template and other additional settings. 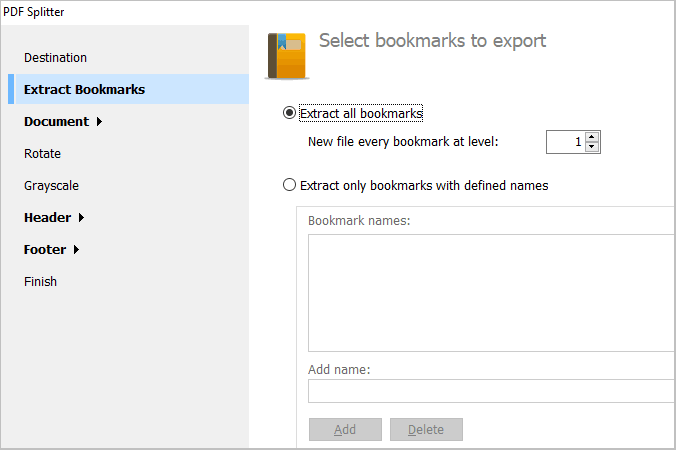 Note that you you select the splitting template here: split by bookmarks, split by folders, etc. Once you have reached the last inlay, you are ready to start the process. If you want to split PDF documents via command line, our app will automatically create a BAT file with all your settings, just press the button. 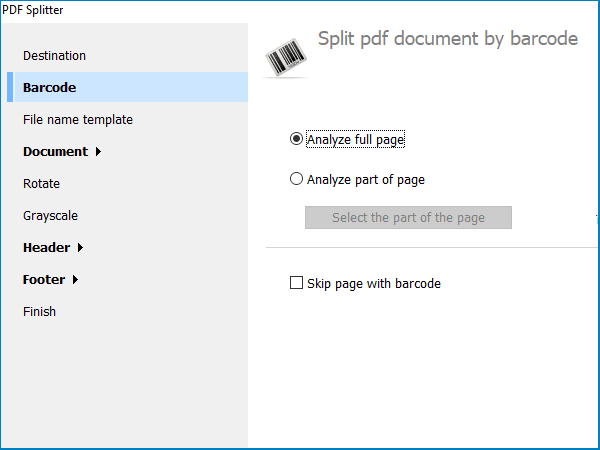 After the splitting is done, you will see the explorer window with your new PDF files. Split multi-page PDF in 5 minutes. You are covered with 30-day money-back guarantee.